The showdown between Cris “Cyborg” Santos (18-1 and 1 NC) and Holly “Preacher’s Daughter” Holm (11-3) at UFC 219 is one of understated importance. Both women are struggling to make their mark in a sport that still hasn’t shaken itself loose from Ronda Rousey’s grip. One is a terror who struggles finding marquee match-ups to validate her place among the greats. The other one is a one-hit wonder struggling to right a sinking ship. Who polishes their legacy and earns mainstream adoration? Cyborg is one of the fighters that hasn’t benefited from the explosion in the number of casual fans. 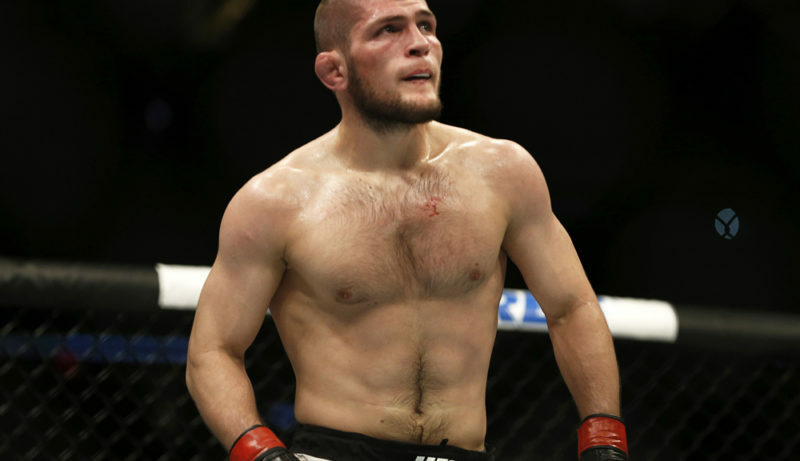 Most are content to fling a variety of slurs regarding her masculine appearance or pine over Rousey and Paige VanZant. Which is a pity since real fans have recognized Cyborg as the best WMMA fighter on the planet for nearly a decade. Apart from her MMA debut, Cyborg is undefeated. On top of that, she knocked out her opponent in sixteen out of her eighteen wins. But despite being locked out of WMMA’s deepest division, Cyborg is still improving. Like most power punchers, Cyborg used to load up and wing her power hand. She still does, but it’s now supplemented by some veteran wrinkles. She’s upgraded her jab from a noncommittal flick to a thudding power shot. 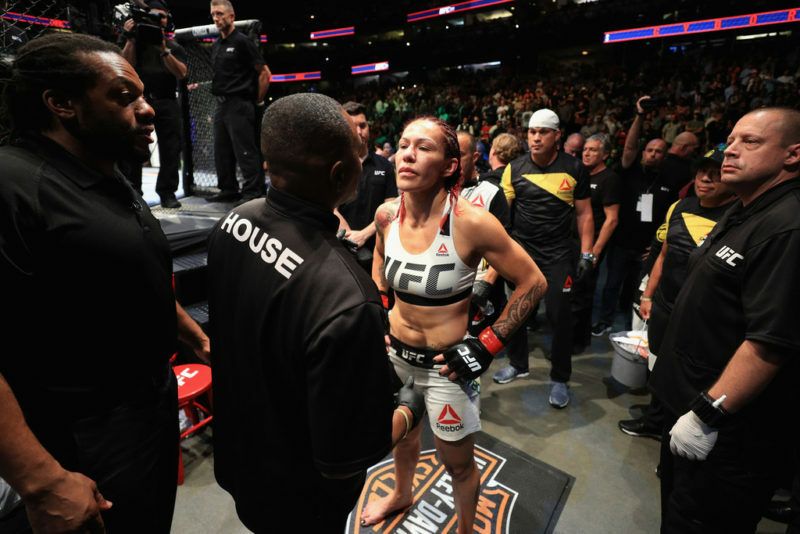 When opponents cover their head, Cyborg will feign high and then drive her right hand into their gut. She uses her physical strength to control women in the clinch and pulverize them with knees. But if WMMA lacks depth now, the days of Cyborg’s rise were the Wild West. She was a professional struggling to cut past 145 lbs fighting against smaller women trying to hold down second jobs. 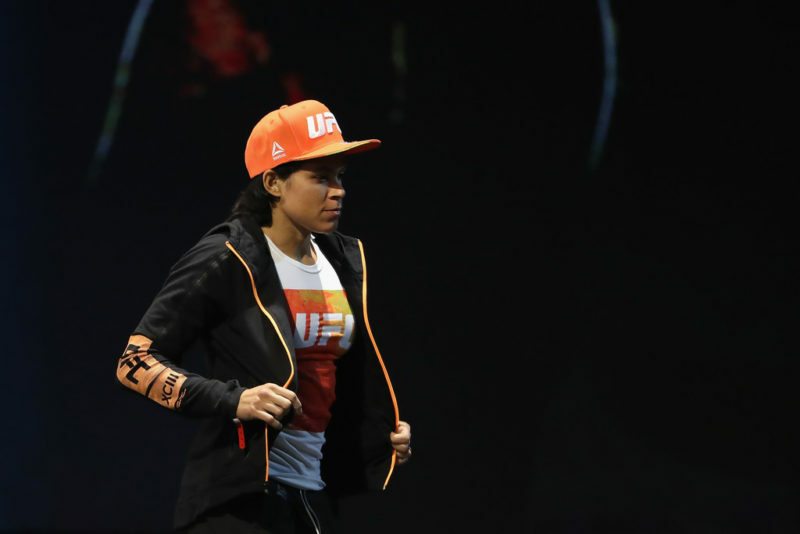 Unable to tussle with the bantamweights, she’s struggled to validate her status as the most dominant WMMA fighter on the planet. Crushing Holly Holm should legitimize her in the eyes of casual fans. Back when Rousey was making millions cleaning up second-rate opposition, analysts and knowledgeable fans insisted that Holly Holm was a legitimate threat. Holm had height, reach, a great striking pedigree and fantastic footwork. No one expected Holm to slaughter Rousey like she did, but it wasn’t the monumental upset that many make it out to be. She was the first “proper” MMA fighter that bantamweight had seen. Then came three straight losses. Miesha Tate managed to take Holm down and choke her out in the last round of an absolute classic. 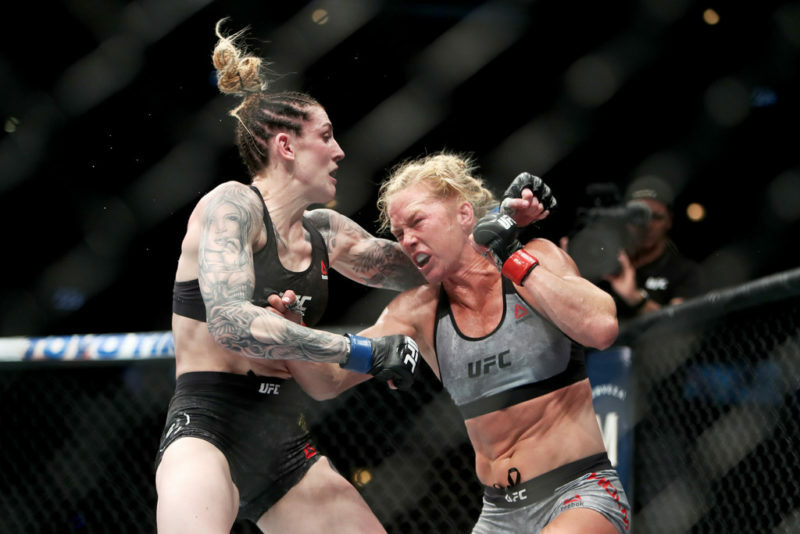 Valentina Shevchenko and Germaine de Randamie took advantage of her predictable striking when leading and out-pointed her. Her recent head kick knockout over Bethe Correia is good for the highlight reel but says nothing about Holm. 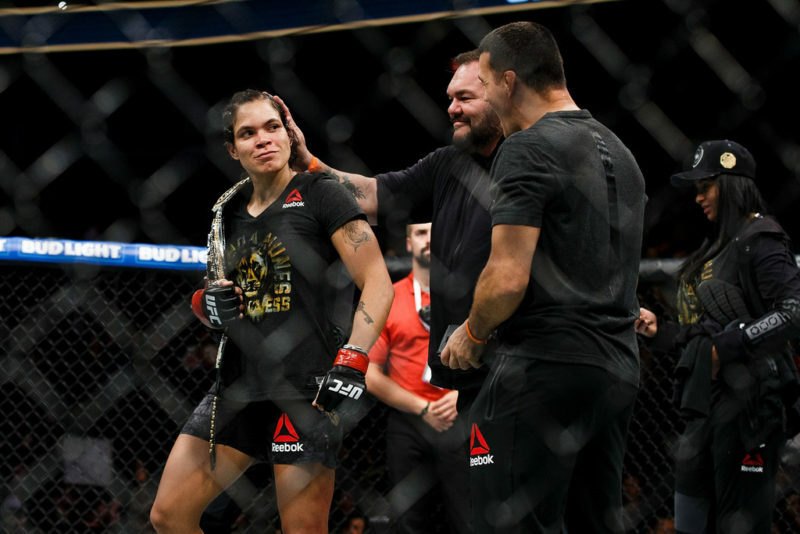 It’s the reason she got a title shot, but that relegates her to Anthony Pettis status; a faltering fighter who gets marquee fights based on their highlight reel rather than their record. If Holm wins this fight, all people will remember is that she was one of the few champions to hold belts in two weight classes. On paper, this fight is quite even. 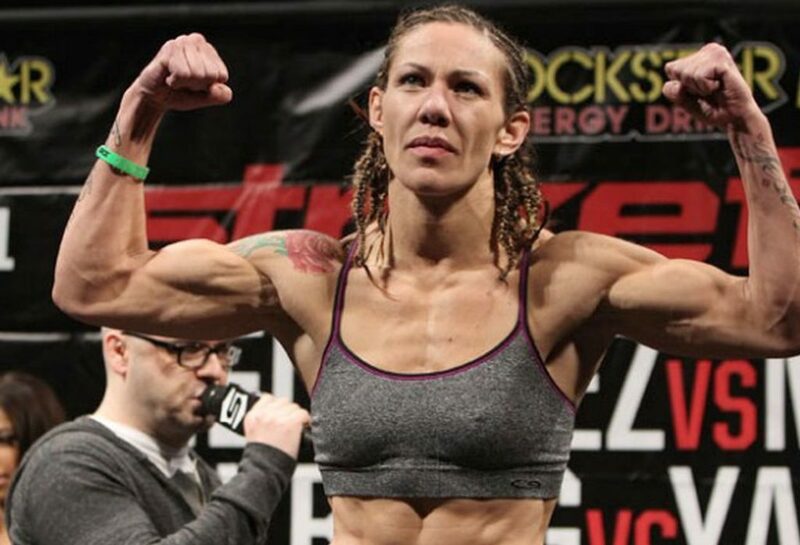 Cyborg has a significant strength advantage but Holm is longer and faster. When Cyborg loads up on her right hand, Holm can paste her with a left cross. Holm’s southpaw roundhouse kick is a huge danger for a fighter who has her right hand extended more often than not. 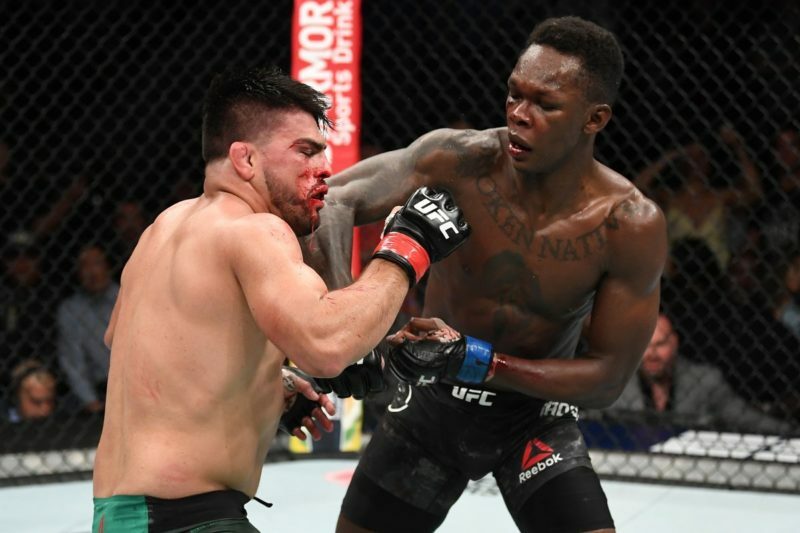 But featherweights hit harder than bantamweights and no one hits harder than Cyborg. 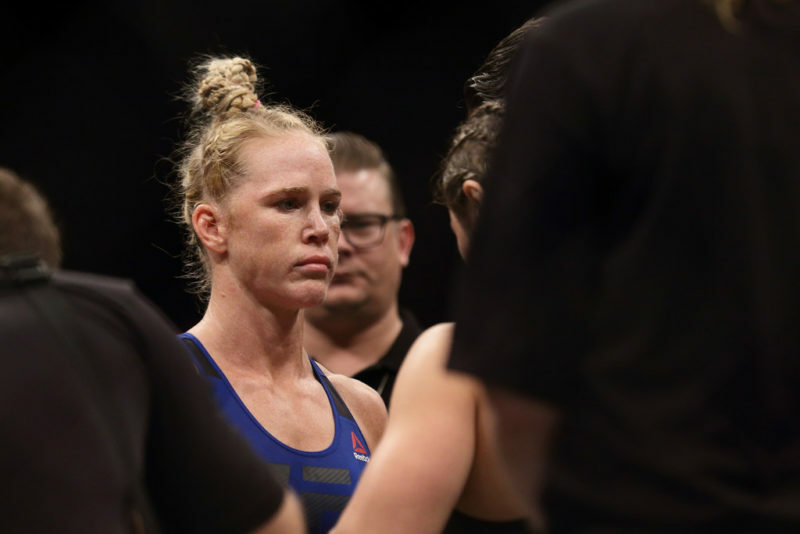 If Holm gets too predictable and gets countered, she will hit the mat in a way she never has before. But take a step back and you realize that this is Cyborg’s fight to lose. It’s easy to forget that Cyborg is a two-time international BJJ champion. She won’t snake around her opponents on the ground, but she has the skill to hold them down and beat a hole in their face. Miesha Tate grounded Holm with a simple double leg and Cyborg will bring far more power behind any shot she attempts. She can concuss Holm with a single punch whereas Holm will need a blind head kick to accomplish the same. Holm won’t let herself get blitzed, but by rounds 4 and 5 there’s a good chance she’ll go down from a clean connection. The very least we can say about this fight is that it will legitimize Cyborg in the eyes of casual fans. It’s a pity Holm will have to go 1-4 in her last 5 to do it.